 The Village of Midway would like to urge people to remain vigilant and be extremely cautious with any activity that could spark a wildfire. PLEASE REFRAIN FROM SMOKING WHILE WALKING, HIKING OR BIKING ALONG ANY OF THE TRAIL SYSTEMS AND BACK ROADS. The fire threat remains high all across the Province and it is up to all of us to ensure a major event does not happen in Midway and the surrounding areas.